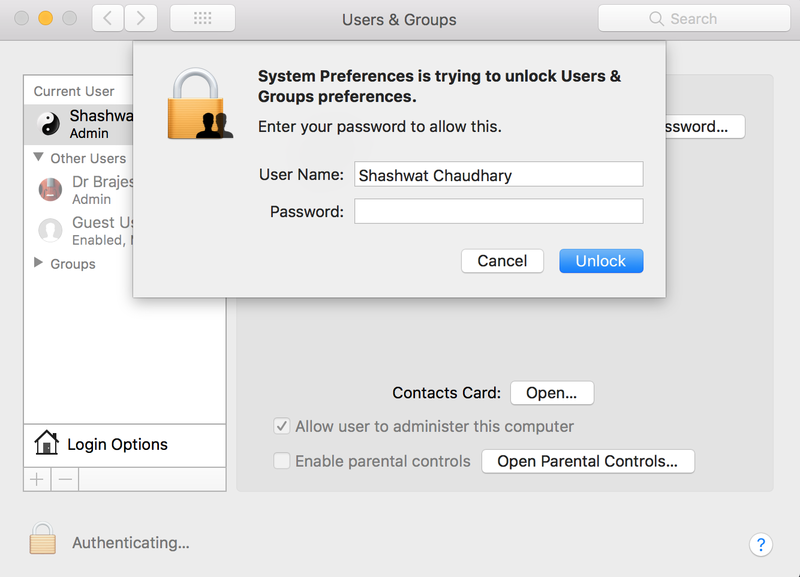 If you’ve been following security news, you’d know that Mac OS High Sierra has a security bug. Most of the articles have done a fine job explaining all the fluff, so I’ll get straight to the point. 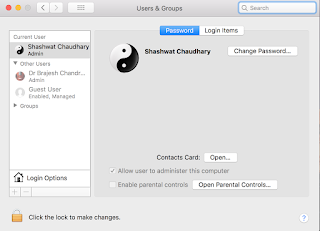 If you have no password for the root account (as is the case for most users, since they haven’t explicitly set up a root account and password on their system), then Mac will accept a blank password for logging into root. Step 2 : Click on the lock, and you’d be prompted to login. 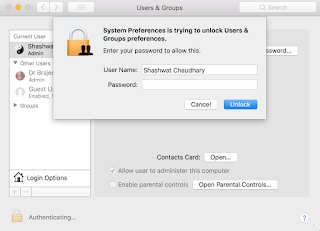 Step 3 : Change username to root, leave the password field blank (After changing username to root, press tab to move to the password field, then tab again to go back to username field, and then click unlock, otherwise this won’t work). That’s it. You can get creative regarding what all you can accomplish with this. I haven’t tried it, but I’ve heard that this attack (bug :p) works remotely! Seeing as how this bug puts your system at risk, I’m sure you are curious as to how to fix it. One way is to give your root account a password. Let’s first check if the update is installed. So, if you have and old version like me, let’s head to the app store and install the update. Sure enough, here’s the update we need. It’ll take a bit to get installed. Once that’s done, let’s just run the same command again and verify that the version number increased to our liking. Now we’re all good. Bug seems fixed. That’s it for the post.